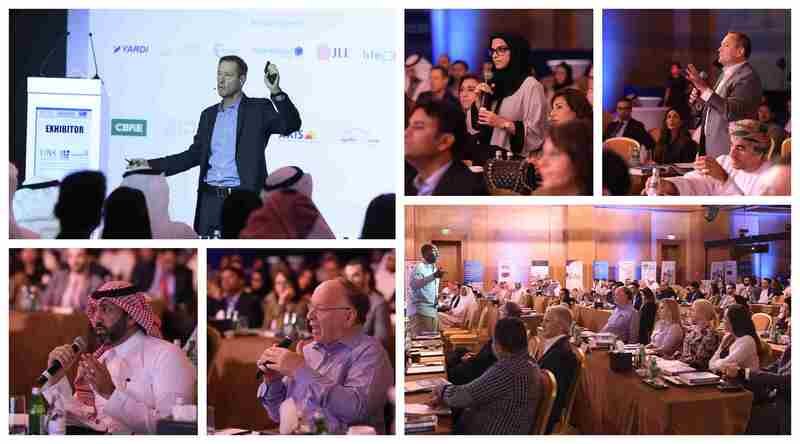 A HUGE Thank you to everyone who attended and participated in the 2018 RECON MENA Conference - Future Proof Retail! From the delegates from around the world, to speakers sharing their latest learning, to the sponsors and exhibitors who brought the event to life – we thank you all!!! A record of 3500+ delegates attending the event over the 3 days!! 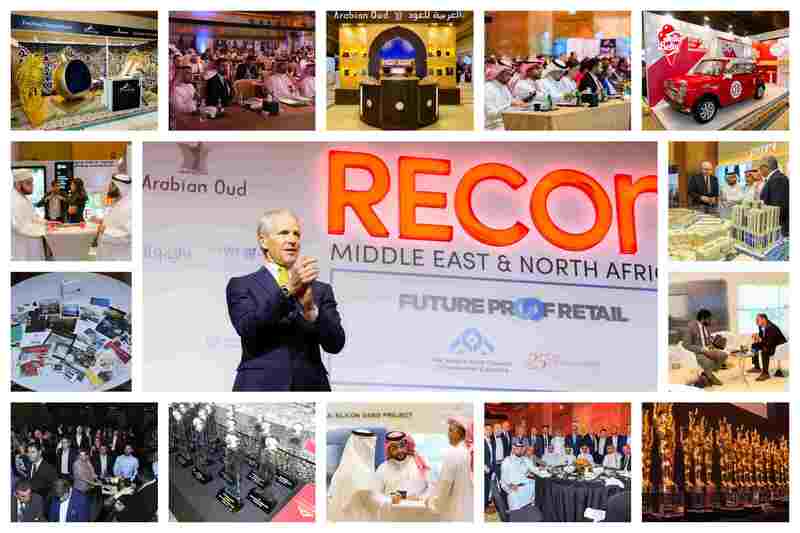 To RECON MENA Sponsors and Partners - Your enthusiasm and great support have added value to RECON MENA. A heartfelt THANK YOU for your commitment and your partnerships with us is vital to the success of this event. You are truly appreciated. Pre-conference workshop was outstanding success – we planned for 100 delegates and surprisingly received 150+ delegates to attend this Intensive workshop on marketing. 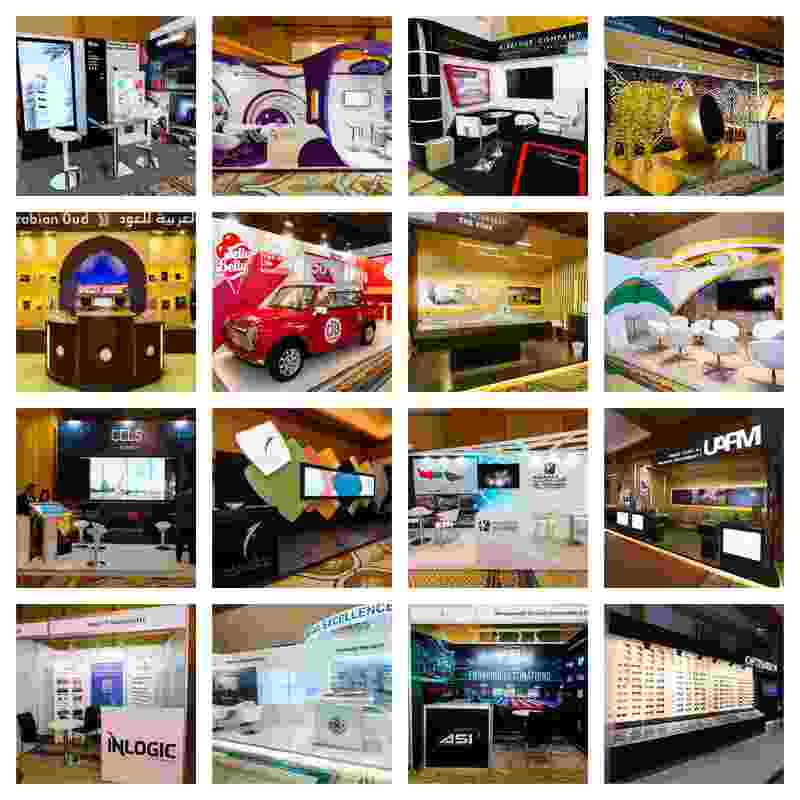 The feedback our exhibitors has received is overwhelming because of the efforts in promoting their products and services on the exhibition floor. Thank you to all the mall developers and service providers and the new F&B section for showcasing your products and services. The Newly elected Board of Directors has recently voted Mazen Hamza Qandeel, Executive Director of of Granada Centre, Saudi Arabia as President of the MECSC Board, Mazen manages the well-known Granada Complex in Riyadh City; the Board Members include Alessandro Gaffuri – CEO & Founder of CELS Group UAE; Alfred Abi Antoun – Head of Retail JLL KSA & Egypt; Mainumnah Shebani – Managing Director of The Retail Agency Oman; Marcello Larizza – GM of Line Investments & Property LLC UAE; Nada Abou Saab – Director of Marketing from Majid Al Futtaim Properties UAE; Rony Aoun – CEO SMAG SAL Lebanon; Wail Balkhair – Deputy CEO of Al Mahmal Centre Saudi Arabia. A big thank you to the MECSC team, who made this event the success that is was!! 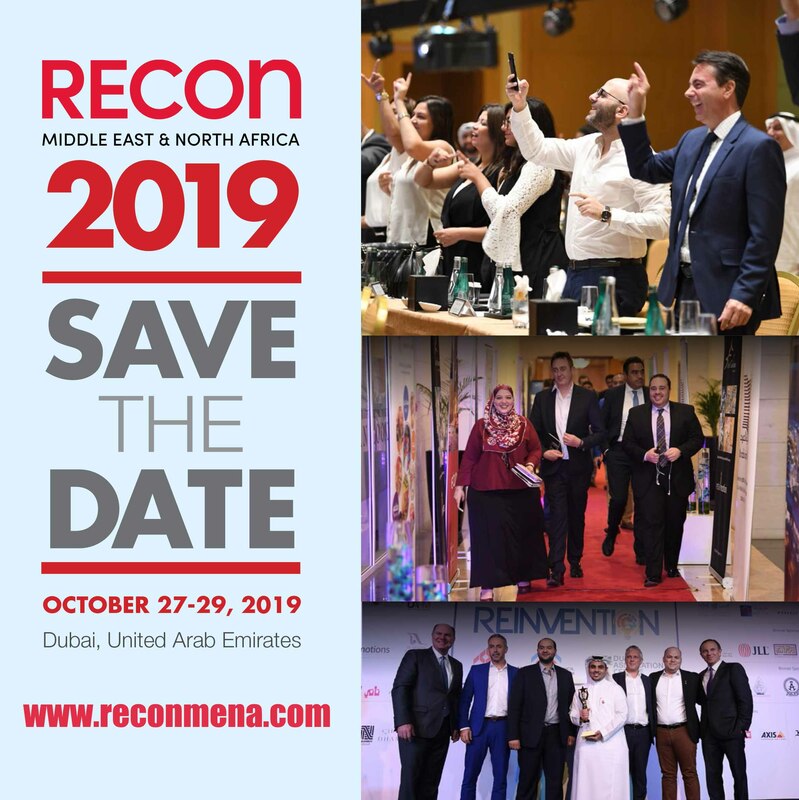 Tireless efforts, long hours, innovative thinking, IT expertise and extreme focus on massive volumes of detail by our team who successfully delivered a truly memorable RECON MENA Conference this year!!! Tell us what you think and help us improve by sharing your feedback. It helps us bring you more of the events you love and the service you expect. Click HERE to answer the survey. 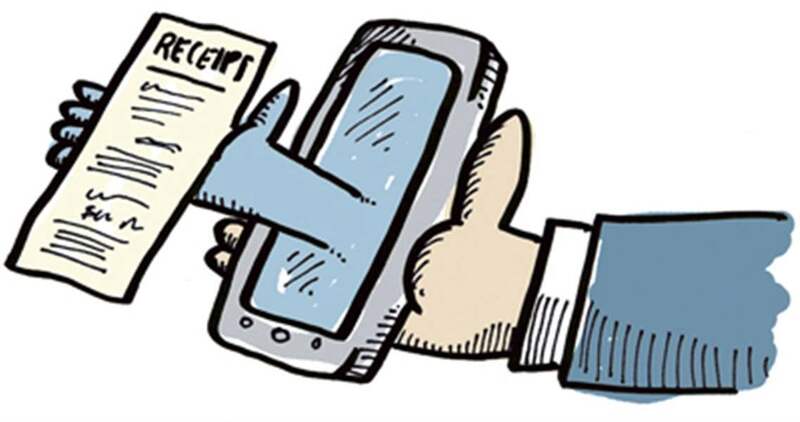 Share News or articles on MECSC monthly newsletter! If you wish to include news or articles about your organization on our Monthly Newsletter, please email Ian at connect@mecsc.org. We aim to circulate the Newsletter on the last week of each month. Please submit your news or articles on or before the 23rd of every month. 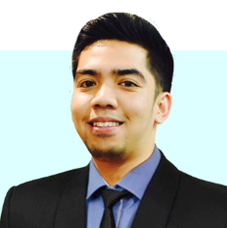 The MECSC is currently active in Twitter, Instagram, Facebook and LinkedIn. If you haven’t followed us on the social media platforms, please jump in and check the latest happenings in the industry. We truly appreciate the time you as members invest in following our organization and the new members within the social media programs. 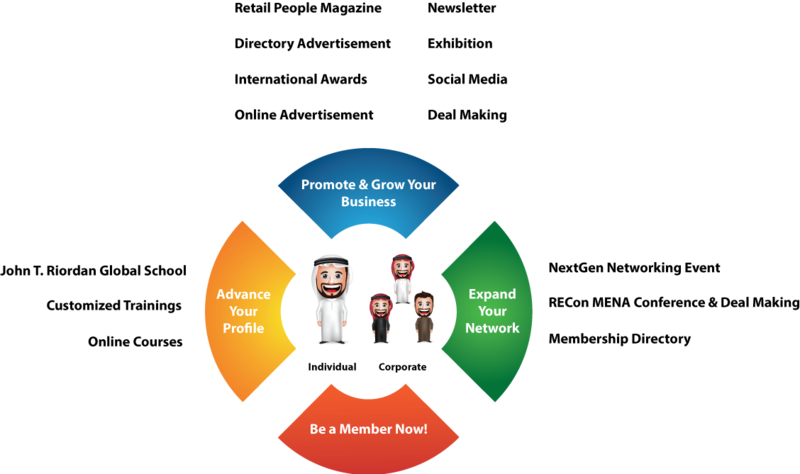 The role of the MECSC is to facilitate your business and to raise your personal profile in the retail industry. 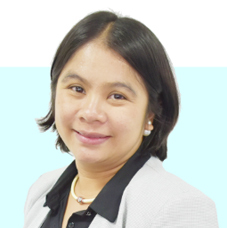 Our team is ready to assist your companies’ business growth and personal careers to flourish. Successful business is all about successful relationships and we want to build these relationships with you, all you need to do is ask and participate. 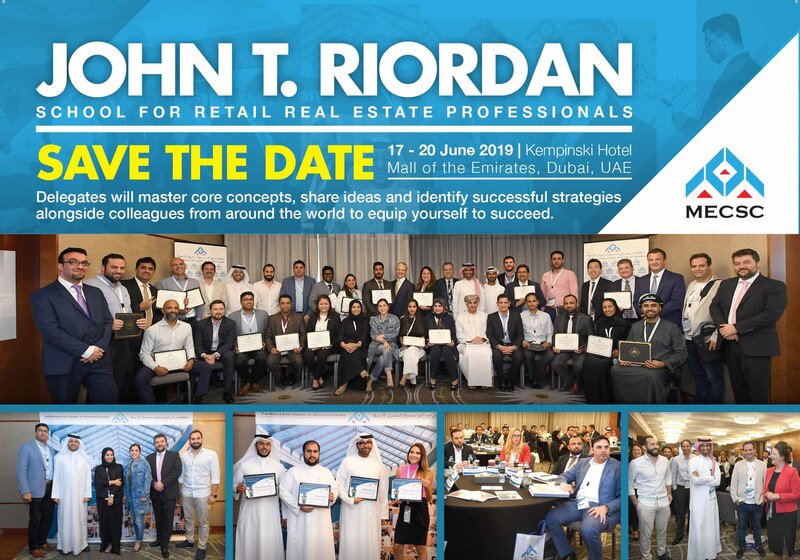 Promote your retail developments, retail concepts, products or services to a quality audience of decision makers at RECON Middle East and North Africa. 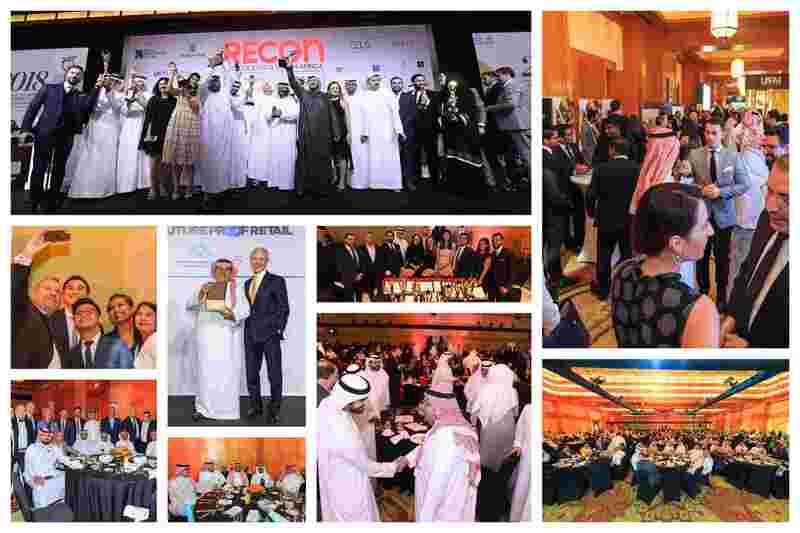 The best and the brightest minds from the retail industry around the world are in Dubai for our RECON Conference. Your ability to put your name and brand forward to those individuals making the corporate business decisions is what you can expect from being a sponsor of RECON MENA. 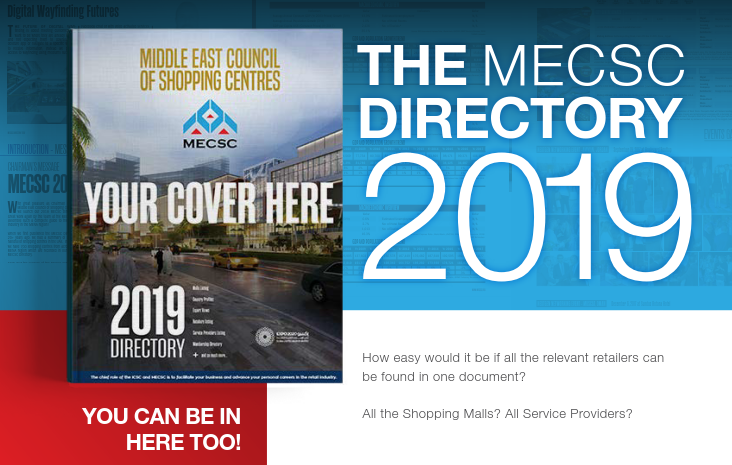 The 2019 MECSC Directory - COVER IS NOW AVAILABLE! 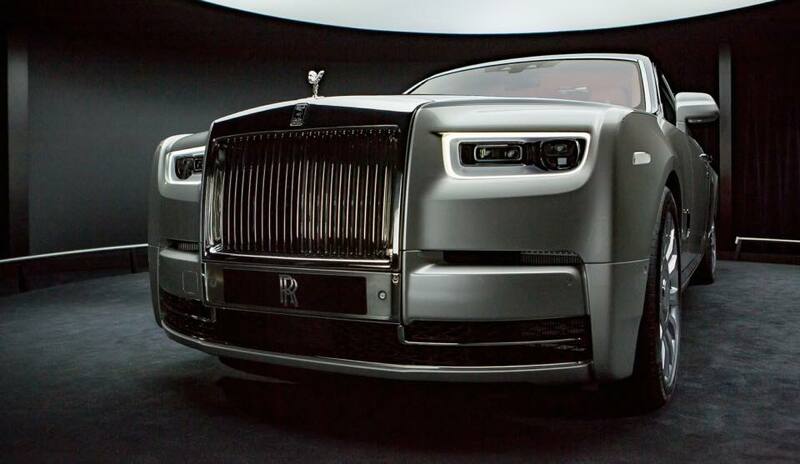 Be more exposed by advertising your Brands & Properties. The Directory is distributed at all MECSC related activities throughout the year, in all of its events and to its members & partners. 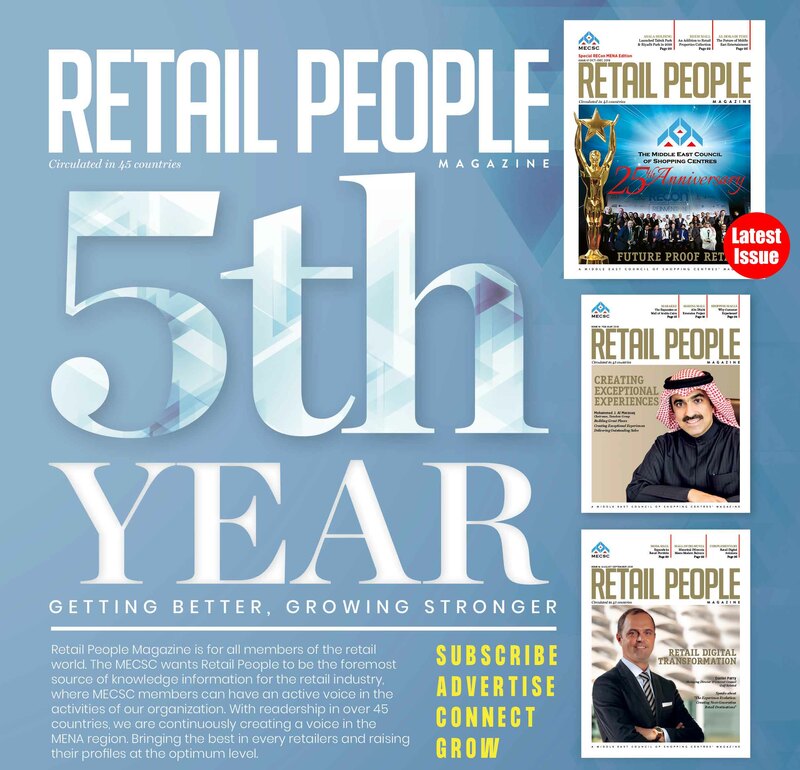 Seems like yesterday when the Retail People Magazine was established, and now, we are proud to say that we are on the fifth (5th) year since its inception. We are pleased to have created a means for our members and readers to have the foremost source of knowledge, inspiration, and information for the retail industry, where our members can have an active voice in the activities of our organization. Our readership grows tremendously over the years, and our featured article content continues to inspire, instruct, and please our readers. In this issue, the Retail People Magazine highlights a number of informative featured articles such as the Robot Restaurant Revolution, Life of Future Retail, E-commerce, Amazon and Walmart, plus more interesting topics which will give the readers fresh ideas about the future-proof retail. 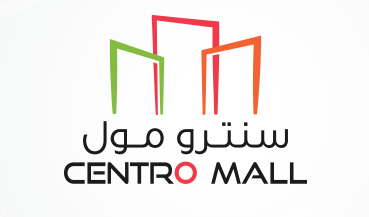 In addition, we also feature three major shopping centres with their latest updates. 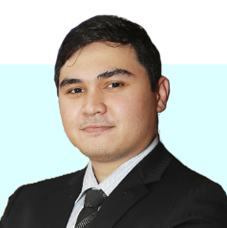 We are extremely happy seeing an elevated level of involvement from our member by utilizing our newsletters and social media accounts in promoting their products and services. Join as Corporate Members now and enjoy these awesome benefits. The Spring Board Networking Event brings Retail Industry professionals together in an environment to facilitate business development, knowledge-sharing and networking. 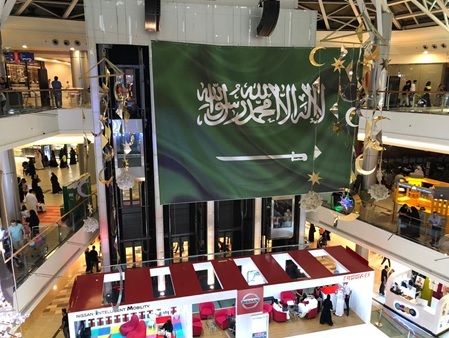 Middle East Council of Shopping Centres’ (MECSC) primary goal is to bring together regional leaders and professionals under one roof to network with key players in the retail sector and enable to meet and build relationships. Our Team at MECSC are able to custom create education programs for you! 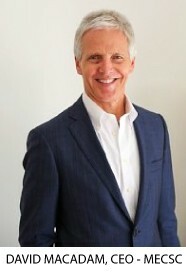 A large component of what our team does at the MECSC is to create unique opportunities for business development and career enhancement for our members and the retail industry at large. 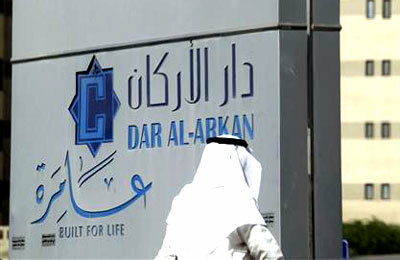 Custom Education - Education continues to be a primary focus within the MECSC. Our leadership role in the retail industry makes the MECSC the first choice in curriculum development and delivery. Our team appreciates your support in sourcing new educational opportunities. When your organization or affiliated companies consider retail industry training programs, please contact us as we would be pleased to assist you with your training needs. Disclaimer : The views expressed in this document are those of the contributor(s) and no liability can be accepted for any omissions, errors of fact or opinion. Copyright 2018 MECSC, All rights reserved.